Perley Rideau offers excellent co-operative education opportunities for high school students. 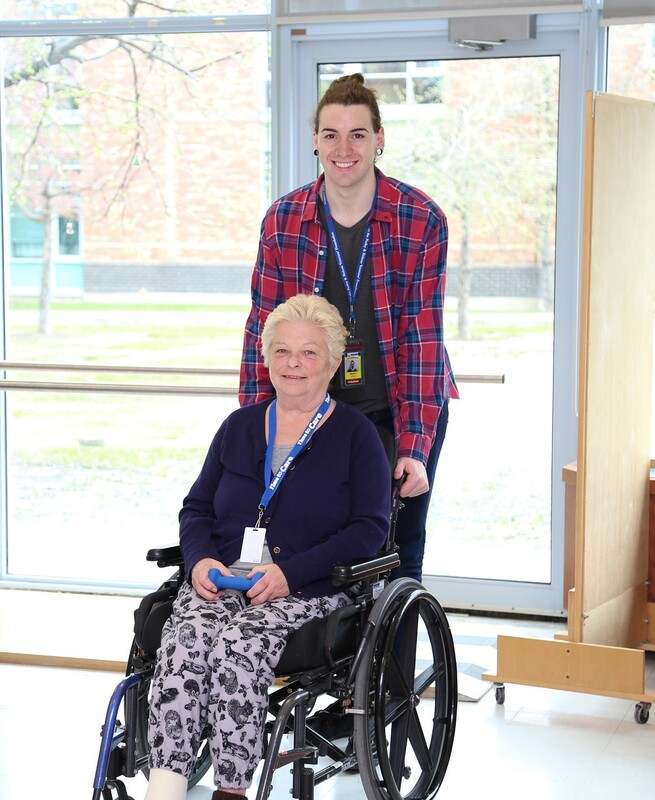 Throughout the school year or during the summer semester, we are pleased to welcome students in the areas of Physiotherapy, Therapeutic Recreation and Creative Arts, Music Therapy or Nursing. Staff will train and support students to assist seniors living in long-term care. Students will have an opportunity to learn about dementia and to adapt programming for seniors with complex care needs. Specialized feeding training is offered to those wishing to assist in the dining room. For more information and to apply on-line, click on Volunteer Application, email volunteer@prvhc.com or call Volunteer Services at 613-526-7171 ext. 2356.